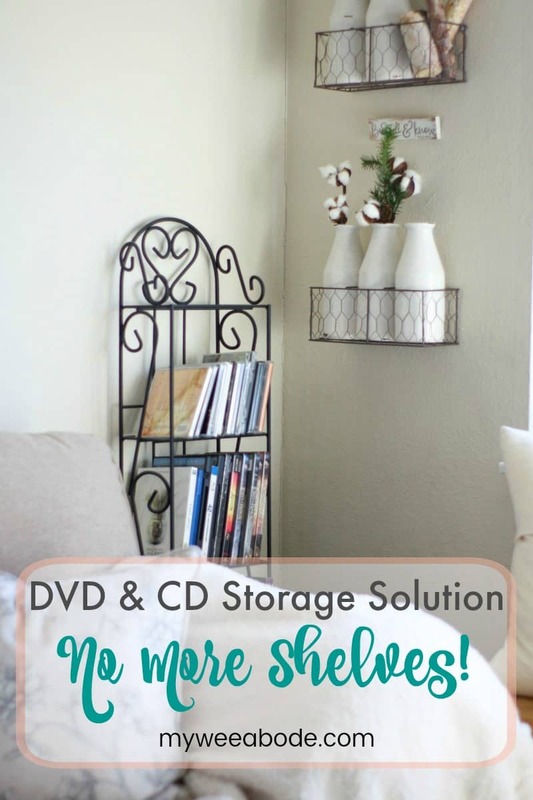 DVD and CD Storage Solutions – No More Shelves! Hey, friends! Hope y’all are having a great day! Thought I would share my first storage solution that works great for small homes, but transitions well to any size home! 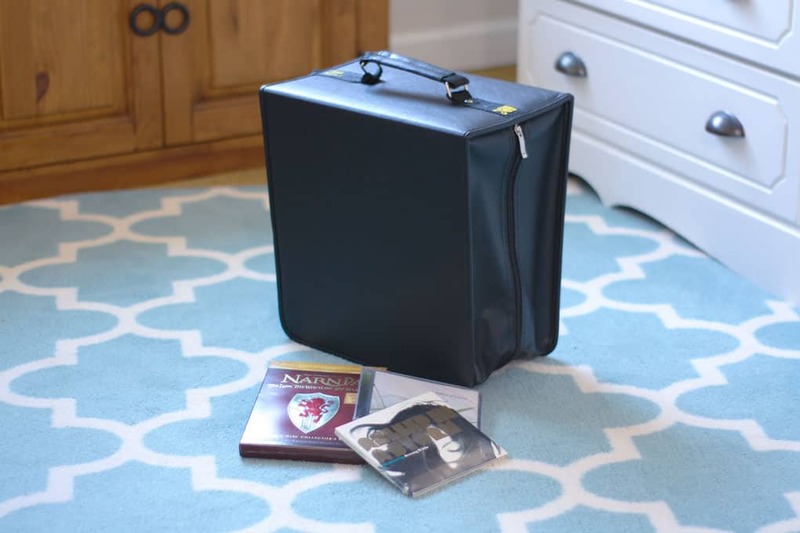 Check out these DVD and CD storage solutions – no more shelves! 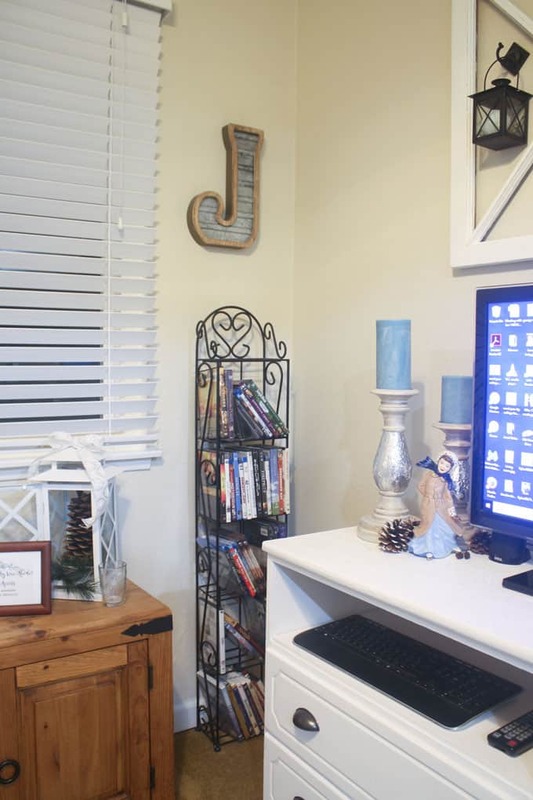 DVDs, blu-rays, and CDs can often cause clutter in a home, but can especially make a small home look messy, even if kept in a pretty rack or shelves (like I had). Storing them something smart and attractive, like the notebook I’m sharing with you today, was a great solution for My Wee Abode. 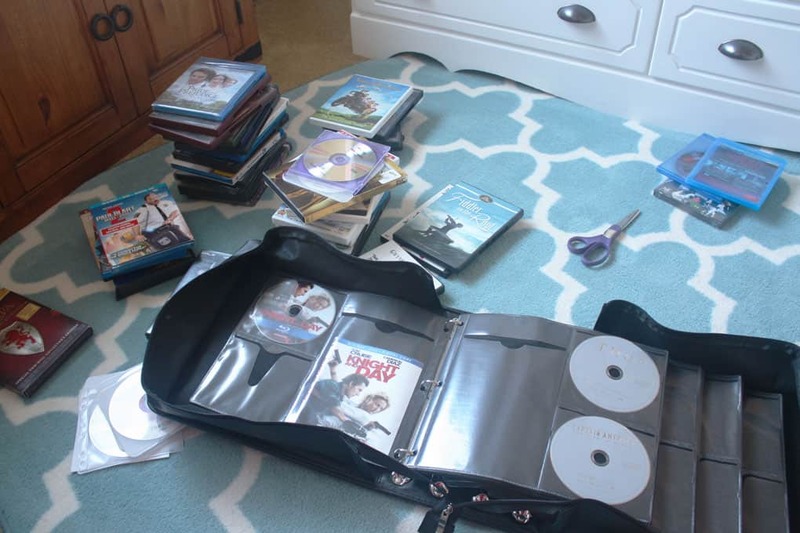 First thing I did was gather all my DVDs and blu-rays on one side of me, and then my CDs on the other side. I then went through each one, decided which ones I wanted to keep and which ones I wanted to donate. 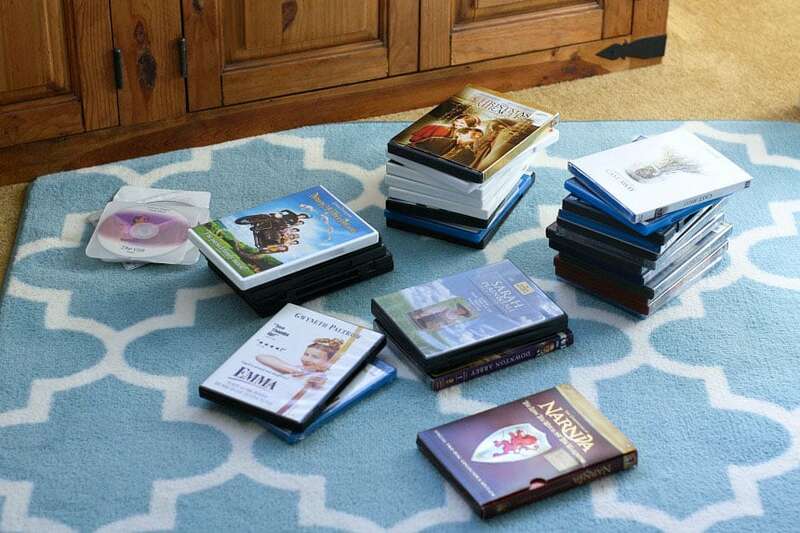 I found that I had duplicates of DVDs and blu-rays (my son likes to gift me with the current blu-ray genre), so I put the duplicate DVDs in a pile to donate. If I found that I no longer liked the movie (it happens, but not often), I put that in the donate pile, as well. Same with the CDs. If I found that I no longer cared for the style of music, or maybe it was just outdated (that happens, too! ), I placed them in the donate pile, too. This one got to keep his jacket because it’s a collector’s edition. It’s really special inside! I preferred to separate the discs by genre, instead of alphabetically. As I add new discs, I think it will be difficult to keep them alphabetized, but I don’t think that will be an issue for me. Maybe I’m wrong… what do you think? By separating them into genres, I can keep track of them pretty easily. I did separate the CDs by artist’s name, as I usually have more than one CD per artist. Any ideas how to keep them easily alphabetized, without having to take them out and reorganize all the time? 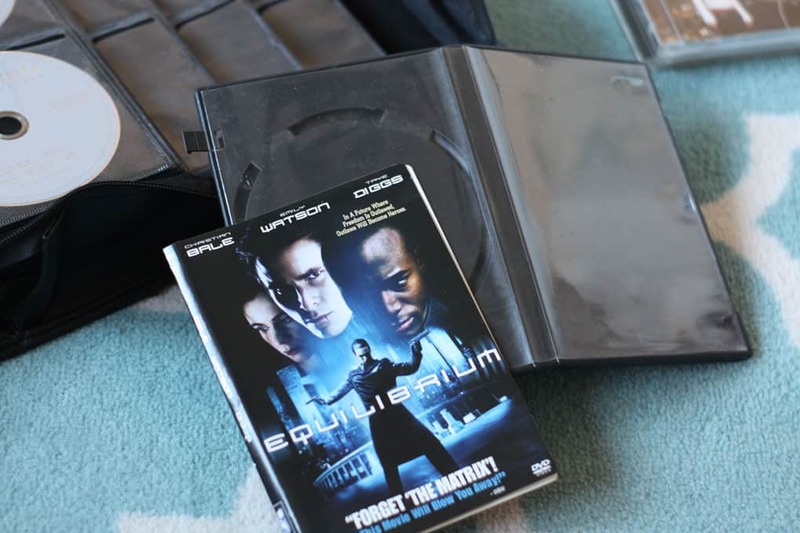 Each page of the notebook is double-sided, and each side includes a sleeve for the cover/DVD guide and two sleeves for the actual discs. At this point, I pulled the covers and inserts out of the plastic covers. I thought I was going to need to trim the covers, but found that they slipped right into the pocket that was made for them! Easy peasy! I placed the disc(s) in the adjacent sleeves (could you guess that? Hehe!) If there were additional inserts from the media container, they easily slid behind the title cover. 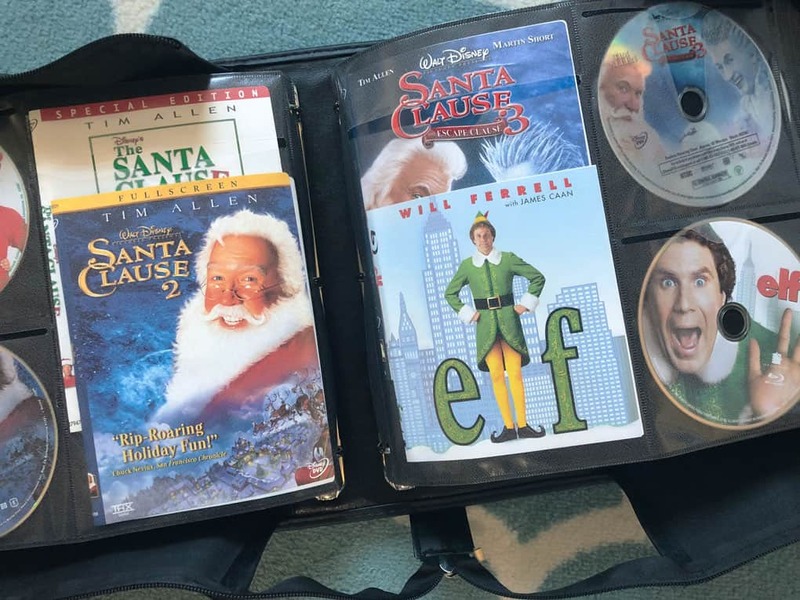 What was really nice was that two inserts could be stair-stacked in the long sleeve, and I could put the coordinating DVDs next to them! A soon-to-be empty drawer in my console will be the binder’s permanent ‘home’. 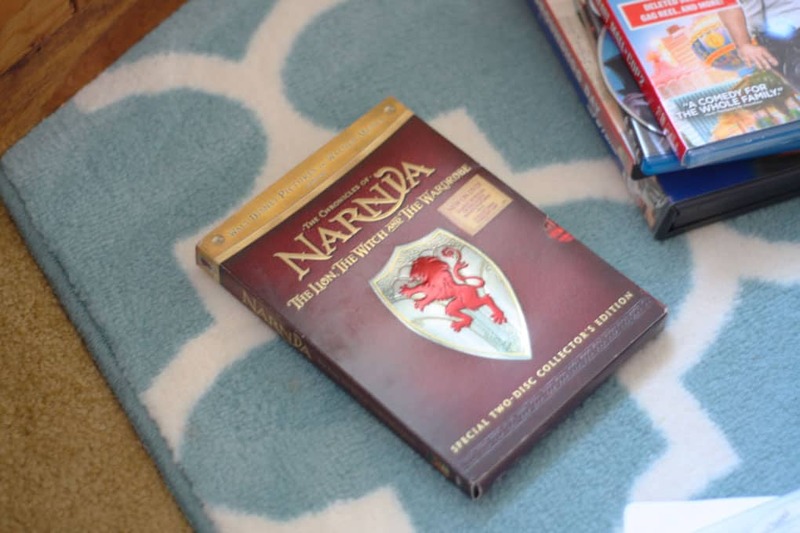 I think that is the most accessible spot for the discs and will keep the binder out of sight. But until then, under the bed it goes! 😉 Still easy to get to, and no one will ever know it’s there! Hehe. I think it looks SO much better… Much more bright and airy! What do you think? 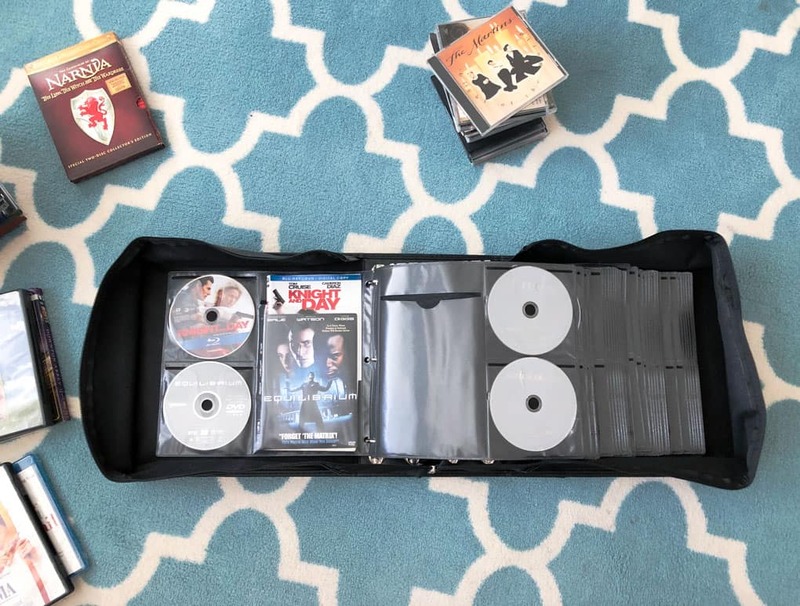 What storage solutions do you use for your media discs? How do you organize/arrange the discs (genre/alphabetize/both)??? I’d love to hear from you. It really does make my day! « My Word of the Year, With a Twist! That’s awesome! Woilda never thought of that! Thanks, honey… Let me know if you want a binder for your b-day! 😉 Love you! I agree about the bright colours screaming at you. In a beautiful room like yours it’s kind of the first thing you eye would go to! Thanks for coming by, Joy! Yeah… those VHSs, hmmmm. I understand your quandary! Do you have a battle going on between your organizer self and your thrifty self?! 😉 I’ll let you know if something POPS into my head in the middle of the night. Hehe! That is awesome! I LOVE your blog! ❤️ The landing page is so pretty! And your photography! You go girl! Oh!!!! Thank you for dropping by, KariAnne, and for the wonderfully encouraging words! I do need to be honest though… many of the really nice pics were taken by my daughter, and she is teaching me a LOT! Thank you for being such a big part of this launch! 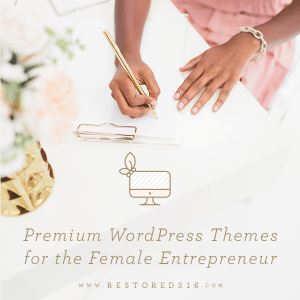 Two years ago, when I discovered blogging through your site, my eyes went all starry! And then your kindness and advice on the phone and pm’s… I just so blessed! By God’s grace and provision, I would love to grow up to be even a little bit like you! 😉 Hugs! LOL! Absolutely… and the binder wipes off clean when they grab THAT instead! 😉 Thanks, Agent Squirrel! 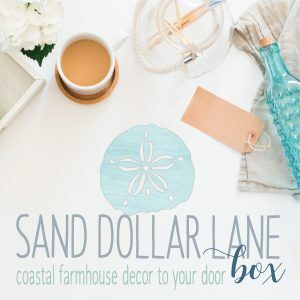 I love organizing ideas and this one is brilliant! Thanks, Michelle! I am really enjoying it! Hugs, friend! Well, I have to say that it really made a big improvement! The little shelves were totally cute but yes, the corner looks so much less cluttered now. I am truly amazed! Yes, Nikki… if I had kept the rack, I would have painted it white… because everything looks good painted white! 😉 But, this notebook is a win-win! Thanks for the love! Hugs and hearts! I like your less cluttered look much better now! 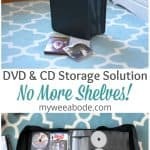 Great idea for storage solutions for CDs/DVDs. We have a bunch here in an ottomon and also inside a cabinet, and yes we used to alphabetize. Right now there is no organization except to keep genres together. 🙂 We also have five packing boxes full of DVDs in storage, too. Pinned for you! Yeah, Barbara… you and I BOTH know what using our space wisely means! You’ve got a lot of media! Very fun! 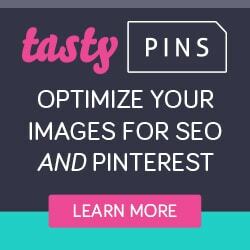 Thank you for pinning, friend! 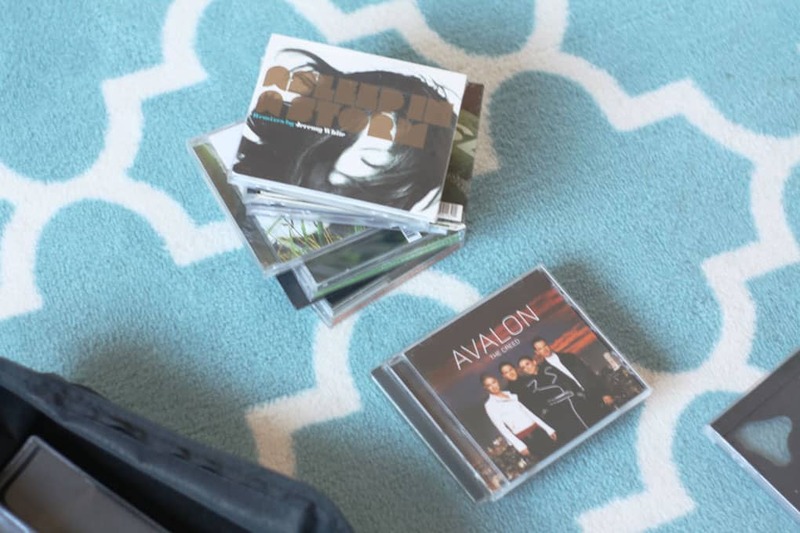 This is a very good idea for decluttering your music! 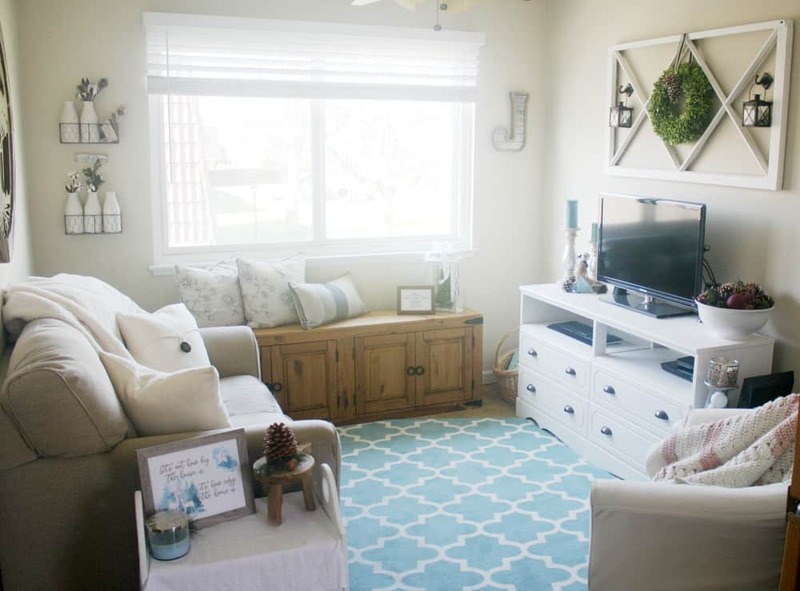 Love how pretty and organized your home is. Thanks, Maria! Your encouragement means a lot! Will miss you at the conference… Next year! Hugs and hearts, friend!